If you ask any athlete that competes in the most prestigious tournaments and events, they would say that it is not only the performance and the achievements that matter—it is also about the respect between different teams and nationalities. There may be differences, but everyone goes through the same tough process of endless training, improving one’s skills, and moving further and further towards a goal. The mutual respect and sportsmanship is the foundation of any elite sport discipline or event. One such act of kindness—and a clear sign of respect—was the selfie that two young gymnasts took during the 2016 Olympic Games in Rio de Janeiro. The photo became iconic, and it was the image that really defined the whole event. 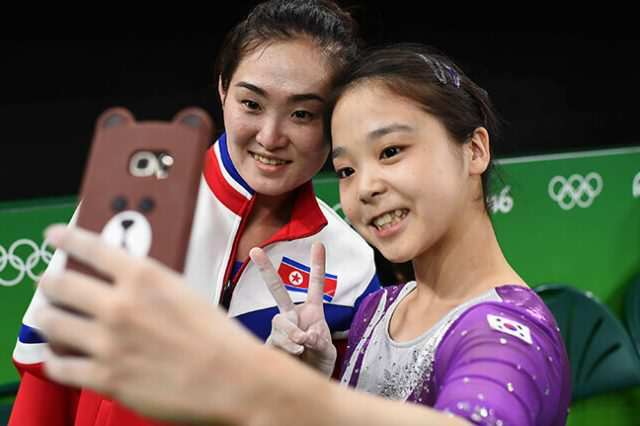 The young female gymnasts, Hong Un-jong from North Korea and her competitor Lee Eun-ju from South Korea, snapped a picture of themselves; the camera captured their moment together—the girls were laughing and talking to each other. The powerful image has been shared numerous time around the whole world; many people thought it was an incredible act of human kindness. After all, the countries from which the two girls come are more or less at war with each other. Tension between South Korea and the North Korea seems to be constantly rising due to continuous and unnecessary threats by the North—saying they will attack their rival. The selfie of the two Olympians had more than one message. This photo clearly represented the true Olympian spirit and served as a proof that the war is mostly between the politicians and the countries’ leaders—the people have nothing to do with it and are not really fighting each other. While everyone liked the photo and felt good about the positivity it carried, some people were worried about the North Korean girl, because there was a chance for her to be punished by the strict regime in her country. 28-year-old Hong was a very successful athlete and was in fact on the best North Korean Olympians in history—she won a gold medal during the 2008 Olympic Games in Beijing. 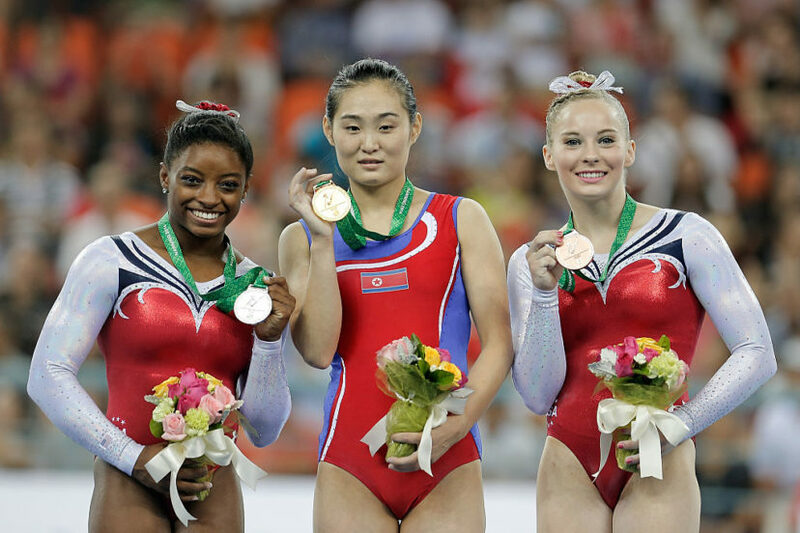 The gymnast has a lot of other medals won in different international competitions prior to the 2016 Rio Olympics, but the strange part of this story is that she literally vanished from the public scene since then. Hong has not competed in any international tournaments or events since she took that selfie with her South Korean competitor. Hong was honored in her country as a national hero for winning the gold in Beijing ten years ago. She managed to become the first female gymnast in the entire world to attempt the extremely hard twisting triple vault at the Rio Olympics in 2016. Unfortunately for her, her attempt was not successful and she did not earn a place on the podium. 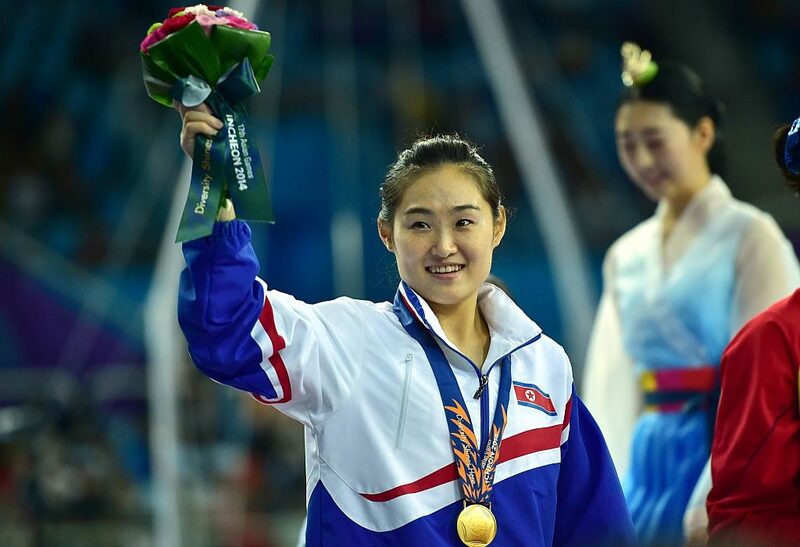 Despite all the rumors claiming that athletes who did not perform well at international tournaments or events are punished upon their return in North Korea, it turns out that such rumors are a bit exaggerated and even false, and Hong is reportedly doing well. 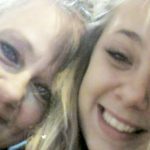 One of the best experts on North Korea worldwide—Michael Madden—recently spoke about the rumor and claimed that there were absolutely no consequences for Hong whatsoever after the world-famous selfie she took. 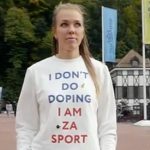 Madden also said that she is feeling great and is currently in the process of rigorous training, and she even participated in a few domestic sports events in 2017. According to the expert, Hong is very likely to participate in the next Olympic Games, which will be in 2020 in Tokyo. Kim Jong-un, the notorious North Korean dictator, is known to be a passionate sports fan. His favorites are weightlifting and basketball. The training camps in the country where the athletes train and prepare themselves for competition are controlled by the government, and some of the best among them are in Pyongyang. Some rumors suggest that Kim Jong-un loves sports so much that he is very generous to those athletes who bring home the best prizes, and often shows his affection by giving them vehicles and even houses.